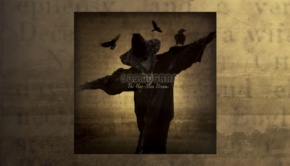 Cosmograf has resurfaced with the remarkably heavy but introspective Mind Over Depth, their first new album since 2017’s The Hay-Man Dreams. It may be wise for Cosmograf fans to metaphorically don a deep sea diving suit, helmet and lead boots because Robin Armstrong certainly plunges them into very deep waters. Robin has lost none of his ability to honestly convey his innermost feelings, but here they are expressed within much heavier and darker musical frameworks than previously witnessed from this outstanding artist. Unlike the majority of his previous albums there is no over-arching concept or narrative being described in Mind over Depth. Anyone hoping for re-runs of his previous, virtually cinematic forays into science fiction, ghost stories or family history with a pastoral slant will need to check their preconceptions in at reception. However, most confirmed fans will already know that each album evolves and that Robin Armstrong is an artist who does not rest on his laurels or simply regurgitate previous triumphs. 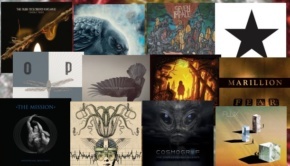 New listeners to Cosmograf are in for a rather surprising journey as they work their way back from this album. Like the Sharks of one of this album’s songs, Armstrong always has to keep moving forward relentlessly, which he does with his usual meticulous skills and single-minded focus. This is an intensely personal album for Armstrong which may have helped him in some ways deal with some of those issues, although apparently it has been the help of friends that have had the most positive impact. In an age when we are all so ‘connected’ by social media, and yet so disconnected from others due to the anxieties and alienation caused by the same all-pervading influence, it is perhaps significant that it was the personal contact of true friendship which was most beneficial. The seagoing and storm tossed theme of the song (with accompanying ship imagery in the sleeve notes) appears to be a metaphor for the personal struggle to survive illness – it’s a fabulous song, which somehow manages to maintain its titanic power without sinking under waves of thunderous excess and bluster. On a similar nautical theme, Cosmograf later throw us overboard into the terrifying maelstrom that is Sharks, seemingly inspired by a speech in Armstrong’s favourite movie, Jaws. Memorably Robert Shaw’s character, Quint, told the story of the U.S.S. Indianapolis which delivered the Atomic Bomb for Hiroshima in a secret mission in 1945. Then in a strange piece of destiny-filled retribution for such a devastating weapon, that fateful ship was torpedoed on the return journey. 1,100 men went into the ocean and after five days of relentless shark attacks only 316 survived. This tragic story is portrayed in an appropriate mixture of subtle floating chords and sinister tones which are then thrashed into violent eddies of crunching riffs. It’s a terrifying and evocative piece, encapsulating yet again Armstrong’s outstanding skills in conveying images so cinematically and starkly. A wall of sound of rock power is interspersed with curious spoken word phrases and softer blues-inflected guitar passages, presumably reflecting the inner turmoil of depression and anger. Later in the song ‘wall of sound’ would be insufficient to describe the vast sonic edifices that Cosmograf construct, over which Robin liberally sprays scintillating graffiti-like guitar passages. 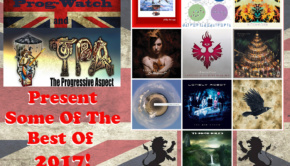 The throbbing, relentless Porcupine Tree muscular riffs kick in, impelling the song crisply over which electric sounding mandolin-like elements fly along. The pulsing electronica slides back in seductively with subtle but beguiling swirling keyboards and sighing backing vocals. Goodbye to all Illusions is a perfect example of the genius of Robin Armstrong, skilfully interweaving the power of ’70s rock guitars with more modern synth-led electronica. Potential new listeners drawn to Robin through his involvement with Big Big Train may be surprised to not find him meandering anywhere near the softer, more pastoral and industrial age world so brilliantly evoked by that band (although great Cosmograf albums such as When Age has Done its Duty or The Hay-Man Dreams may satisfy those desires in such fans if they work back from this album). However, perhaps his recruitment into the ‘family’ of that special band has made Armstrong more determined than ever to forge his own inimitable path, with characteristic singular purpose. There’s no mistaking this album for Big Big Train! 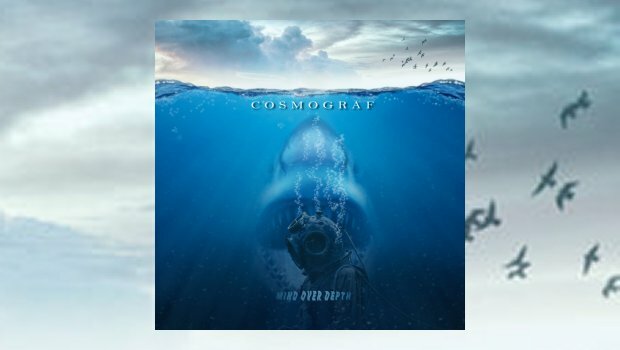 Interestingly, apart from Colin Edwin’s bass on two songs, unlike the majority of previous releases this is a Cosmograf album which is not populated with an array of guest performers. This indicates Armstrong’s evident growing confidence in his abilities as a very talented multi-instrumentalist, having played everything else on the album except the drums. In addition, the effect of a less varied range of performers has given this album more of a sense of cohesion as a whole. The heavier direction may not please all his fans, although there have been heavier passages in all his albums. Those that understand his relentless quest for progression will stay on board to experience the next stage in Cosmograf’s always fascinating voyage. 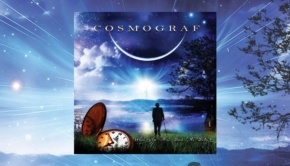 Such is the undoubted compositional skill, immense imagination and sheer quality of performance of Cosmograf on this album and all of Robin’s releases that he deserves to be regarded as one of the premier progressive rock artists of the 21st Century. Current fans and new listeners should dive headlong into the darker depths of his musical imagination in the compelling and remarkable Mind Over Depth – there will be few albums better in 2019.